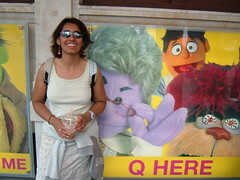 Today we finally got to see Avenue Q in London. I've been looking forward to it for some time. 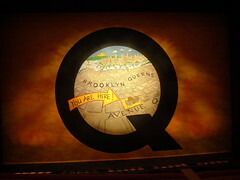 Quite simply, the show is excellent, absolutely wonderful. It's pure class from the start. Nicky was my favourite character, rather reminiscent of Ernie from Sesame Street. The cast were well practiced, very slick. 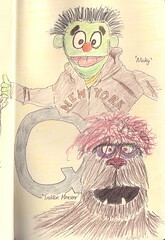 The puppets were handled well, with some cast dealing with several characters (and as a result the puppets were not always handled by the same puppeteer). Sometimes the puppets changed puppeteer mid scene - and we didn't notice until long after the handoff when the original puppeteer walked in with the new character. This show is one that I can't recommend highly enough. I had high expectations of it given that it won Tonys on Broadway, and it surpassed them. Future adventures in the West End: Stomp - Footloose - The Bolshoi Ballet.